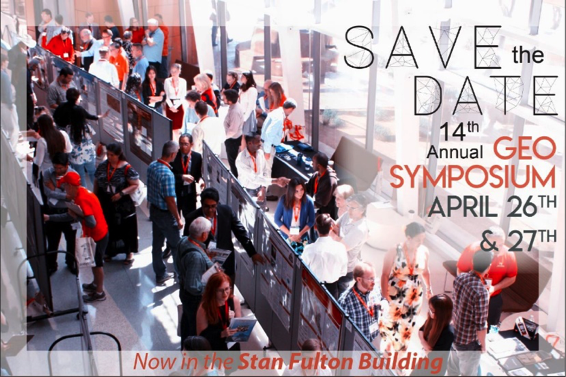 The UNLV Geoscience Department will host its 14th annual GeoSymposium on April 26th-27st, 2019. In order to continue growing, GeoSymposium will now be held in the STAN FULTON BUILDING on the UNLV campus. The symposium is a student-run event, designed to provide graduate and undergraduate students with an opportunity to present their original research and receive feedback from members of industry, government professionals, academic experts and members of the community. GeoSymposium showcases a wide range of important graduate and undergraduate research and provide a forum for participating students to develop presentation skills in a friendly and relaxed environment. Student projects often include diverse topics, such as: soils, geomorphology, hydrogeology, paleontology, volcanology, structural geology, planetary geology, igneous petrology, stratigraphy and much more. We hope that you can join us for this event! Colby Pellegrino, Director of Water Resources, SNWA. Colby will be discussing the status of hydrologic conditions in the Colorado River Basin and what steps have been taken to protect the community against drought impacts, including the Drought Contingency Plan developed by the Colorado River Basin States. Find this year’s program here.